Used Bach Stradivarius model 37 medium large bore Bb trumpet in silver plate. 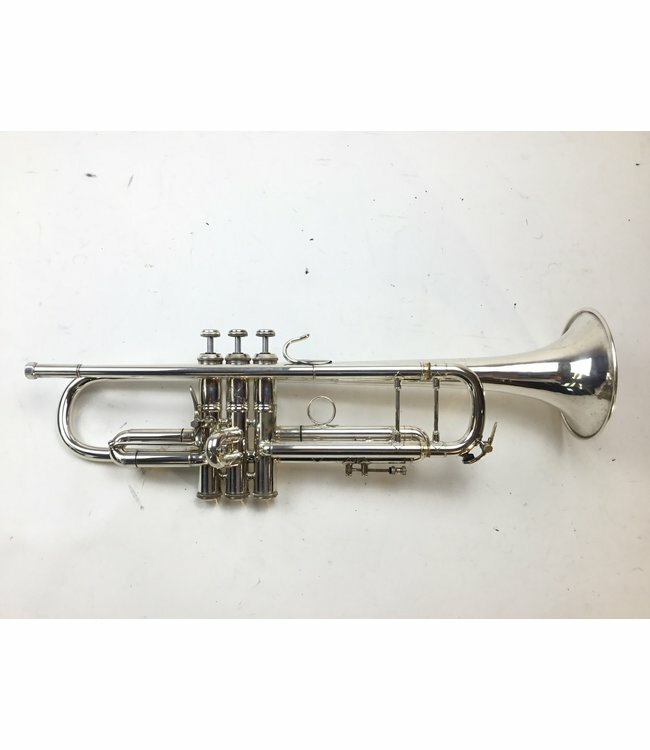 This trumpet is in overall fair condition with wear at contact points and evidence of heavy bell repair. No case.